„Tell me you love me. I’m packing and moving to Shambles. Right in this moment. Karina Halle wrote such a beautiful story that there’s nothing left for me besides set off on my own adventure. Thanks to this book, I want to say YES to all new chances and opportunities with the hope that my own journey will end with such a beautiful happy ending as in Val and Padraig’s case. My Life in Shambles is filled with emotions from the first page up to the last. The characters of this story are among the most wonderful ones I’ve ever met. Their road to happiness is bumpy but also full of hope and feelings. That’s what happened to Valerie Stephens practically in one moment. That is why, as a New Year’s resolution, she decided to start saying YES. Yes for new opportunities and adventures. And the first adventure is a trip to Ireland with her sisters, where on a New Year’s night she meets a mysterious hunk of a man, who swept her off her feet. One night stand with handsome Padraig McCarthy is her another yes. 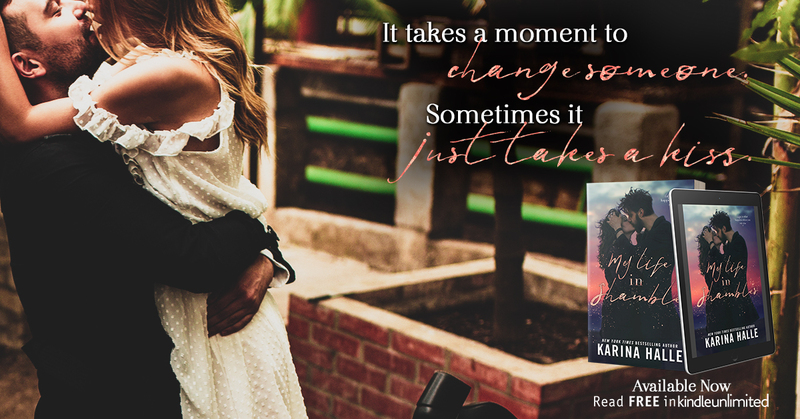 But after hot and steamy night Padraig has an offer for her… Come with him to the small town where this rugby player comes from and pretend to be his fiancée for a while to make his dying father happy in his last moments. What could go wrong? As it turns out, a lot. Especially when very true feelings bloom during this fake engagement. I love every single word contained in this book. I absorbed it all at one sitting and I truly regret that it has to end. Valerie’s adventure turned out to be exactly what the girl needed and deserved. After the misfortune that happened to her in her childhood, subsequent attacks from peers and a mother who constantly criticized her, Val met a man who had loved her genuinely and unconditionally. The same applies to Padraig. This man experienced his own amount of loss and pain. He’s also struggling with new difficulties that fate throw at him. But the love of a woman like Valerie, even though unexpected, becomes the meaning of his life and pushes him to overcome obstacles. 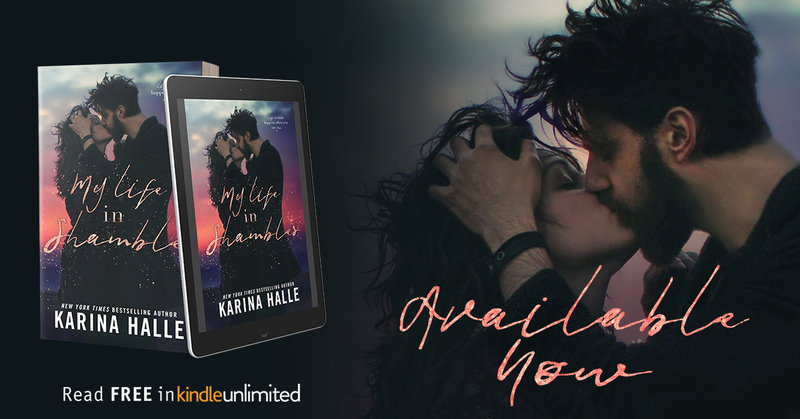 Karina Halle beautifully showed that even in a hopeless situation you can change your life for the better. New and unexpected possibilities may turn out to be something wonderful if you’ll push the fear aside and decide to take a chance. 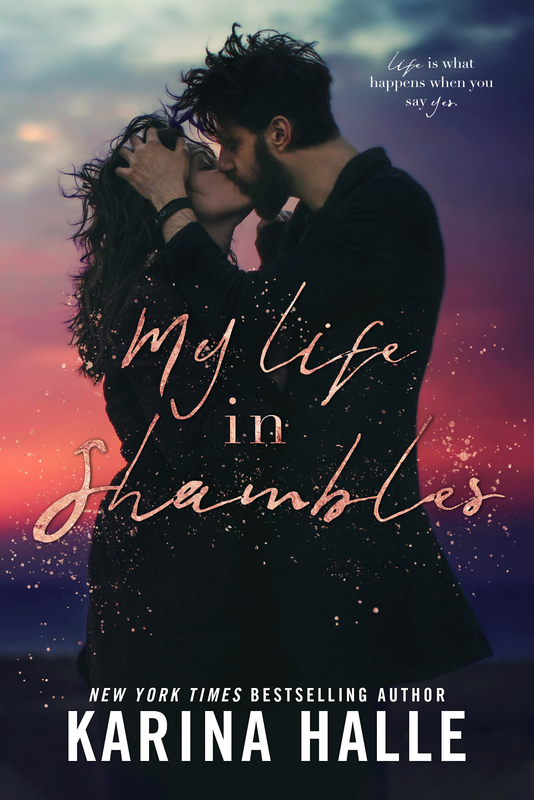 My Life in Shambles is one of my favorite this year’s reads. I will definitely get back to this story more than once.